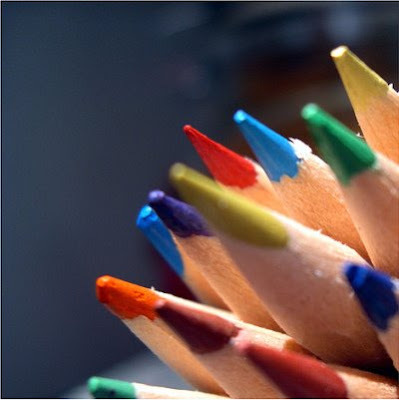 Somethin Wonderful: 5 Interesting Facts About Pencils - Did You Know? This post is the first of a series called “Did You Know?”. Lists in these series will be trivia-based, containing fun/amazing/interesting facts about things we use in our everyday life. This post is about pencils. The “lead” of the pencils, is actually graphite, as you may already know. This graphite was discovered in a large and very pure quantity near Cumbria, England, sometime in the early-mid 1500s. It was discovered to be very useful for marking sheep. So, the first ever “pencil” was that used for marking sheep. Also, graphite blocks could be easily cut into sticks. These sticks were then wrapped in sheepskin or string, for stability. So, the first “pencils” weren’t wrapped in wood cases, as we know them now. These wood cases were first thought of by the Italians, several years later. But the actual wooden pencils were produced in the mid seventeenth century, in Germany. The graphite was enclosed between two pieces of wood. The average pencil (about 18 centimetres long) can draw a line 35 miles long, or write about 45,000 words. Talk about being economical! 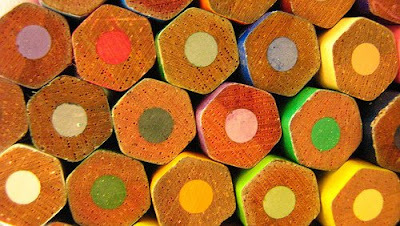 More than 2 billion pencils are used in the United States every year. The global number? More than 14 billion, enough to easily circle the globe about 60 times. Also, more than a million pencils are used annually on the floor of the New York Stock Exchange. That’s a lot. An average sized tree can make about 170,000 pencils. So, it’s safe to assume that if there are 14 billion (14 000 000 000) pencils made each year world wide then, and one tree can produce about 170,000 pencils, there are approximately 82 000 trees cut each year, to meet the annual demand of about 14 billion pencils. That’s a LOT of trees! Could you ever imagine that something so ordinary could have such a big impact on the environment? Pencils are often associated with great names in the literary world. Henry David Thoreau used pencils to write Walden. John Steinbeck, an American writer used over 300 pencils to write his novel East of Eden. He was one obsessed pencil user! 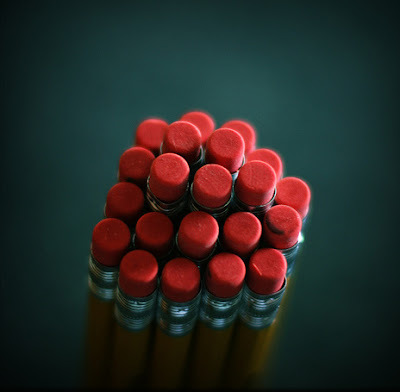 Pencils are supposed to be used primarily for writing/scribbling or drawing. But, what’s the fun if you cannot find a clever use of something ordinary? A pencil eraser is soft. It is perfect for sticking and storing things like pins: you just stick the pins into the eraser, and they’ll stay there. Or, you could use a couple of pencils as chopsticks; for pencils are thin and have good control. Use two pencils as tweezers to pick up fallen stuff, or to eat your noodles! Have an ambitious little plant aiming for the skies? Why not support it’s delicate stem by sticking a pencil into the flower pot, and tying the stem to it with a piece of string? Pencils are ideal for this job! VERY INTERESTING HISTORY. USEFULL INFORMATION TO CONTRIBUTE IN "SAVE ENVIRONMENT" RALLY AS WELL AS "USE OUT OF THROWN"
Well the fact that a country spent millions on research for making an ink pen that could write in spacecraft, and forgot that a simple pencil could be easily usable ,shows how human progress reacts to forget simpler options. Pencil should be awarded the Nobel for writing human history and the cause of instrument of learning civilization. Nitin you asked the same question Amir Khan had asked Boman Irani in the movie 3 Idiots ,th reason being the lead could break and due to gravity issue in space it would tend to float and enter any critical instrument which would damage or tend to malfunctioning of the instrument . Millions are not spent without thinking there is a reason for everything.